East Coast Marina boasts 330 secure water berths, catering for boats up to 18m, complemented by an impressive, modern, undercover 240 boat dry storage facility: a first of its kind for Brisbane. Family boaties, cruising yachties, anglers and ocean adventurers are all welcome here at East Coast Marina‘s secure, modern facilities. We have a café, amenities to freshen up, business and trade facilities, security and friendly service. 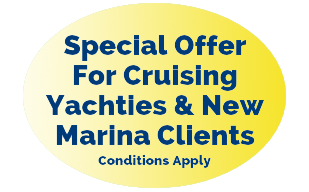 As a full-service working marina our facilities also include shipwright, marine engineers, marine electrician, marine trimmers, boat sales, and yachting school which is fully accredited with the RYA. Chandlery, sail makers and riggers are close by.